Here are two recent articles addressing cycling infrastructure needs and plans in the Cleveland area. CLEVELAND, Ohio -- University Circle bills itself as Ohio's "most spectacular square mile," a fabulous stew of education, medical, arts and religious institutions in one city neighborhood. But its cultural and employment magnetic powers have naturally enough attracted other developments that aren't as great – growing rush-hour traffic jams and parking shortages. Two of the district's biggest players –- University Circle Inc. and the city of Cleveland Heights -- are taking a fresh look at how to address the transportation crunch by strengthening bikeways and bus service. Their goal: Convincing some of the 3,300 or so people who live in Cleveland Heights and work in University Circle to make the short trip by something other than single-occupant cars. 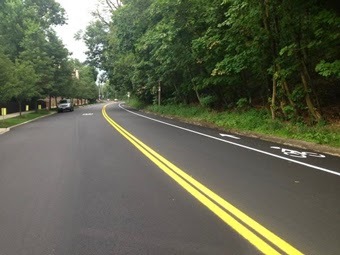 Although I'm a little more than puzzled as to why the government would spend any money painting lines in East Cleveland or north of the Circle, where no one drives, bikes or lives anyway, the overall plan for improving the Coventry bicycling experience could mean a tremendous boon (and a reduction in traffic). I used to cycle up this hill every day from class. If it wasn't steep enough, it was also full of potholes and speeding traffic. What a nightmare! Cleaning this road up made for a far improved, smoother, and safer ride, especially when bike traffic develops (and it does!). As far as I know, this is the only bike infrastructure improvement project that has been executed to date in the area, with the exception of the Euclid Avenue bike lanes to the west. 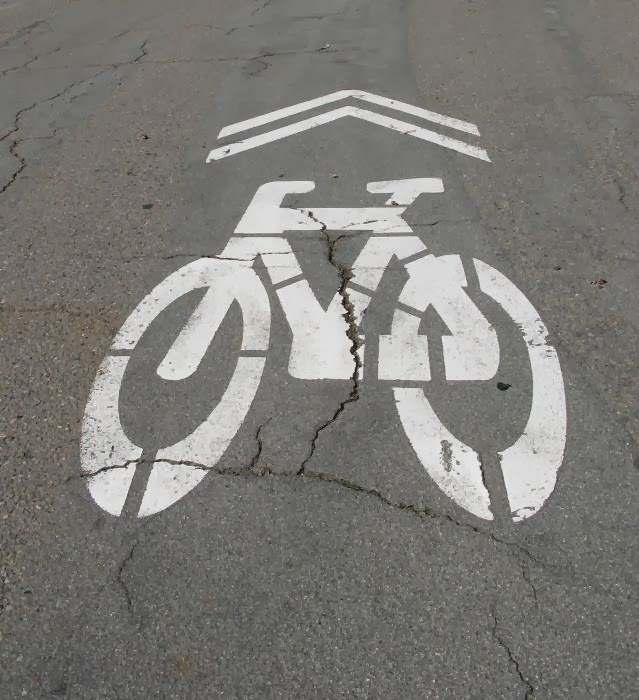 These are called "sharrows," and are intended to "[a]lert motorists of the lateral location bicyclists are likely to occupy within the traveled way..." (Wikipedia), among other things. While I suppose this reduces the incidence of angry motorists sticking their head out of their car window, yelling, "Get off the road! ", it doesn't sit particularly well with this author as a solid solution to the perceived issue of bicycle safety. No separate travel lane is created, and in many cases, parking is still allowed in the sharrow right-of-way, which completely defeats its purpose. Applause for the forward thinking, but forgive me if I'm a bit critical of the true impact this will make on cycling in the Circle. More lanes, fewer sharrows, please. CLEVELAND, Ohio-- The city of Cleveland plans to more than double the amount of bike-friendly routes in town, adding 70 miles of dedicated lanes, trails and pavement markings by the end of 2017. 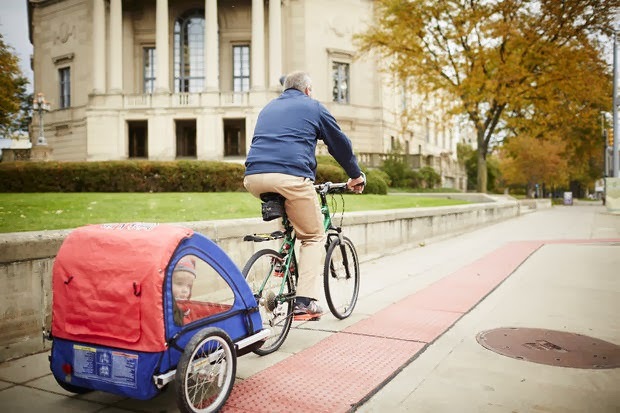 An update of Cleveland's bikeway plan, introduced Sunday at the annual meeting of the advocacy group Bike Cleveland, showed almost 45 miles of bikeways added over the next two years, and another 25.6 miles in the following two years. The overall goal is to connect every Cleveland neighborhood to a bikeway network, said Jenita McGowan, the city's chief of sustainability. Not much to say here, as the plan isn't very specific about the types of improvements being made. There's one question that arises here: we have a chief of sustainability? As much as I love cycling, I can't help but think that applying the "sustainable" label to the activity screams "fruitcake!" It's a soundly economical and healthy decision before we even get to addressing climate change or pollution. We need to legitimize this activity by presenting it as a prudent alternative to transport by automobile. Pollution is inefficient and wasteful. Reducing it makes us all wealthier.